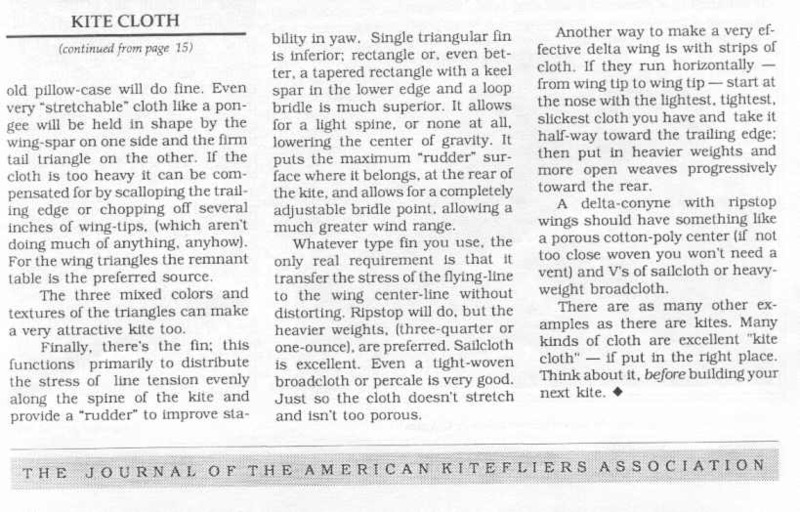 This essay, written for the March 1989 issue of "Kiting", by prolific writter H.B. 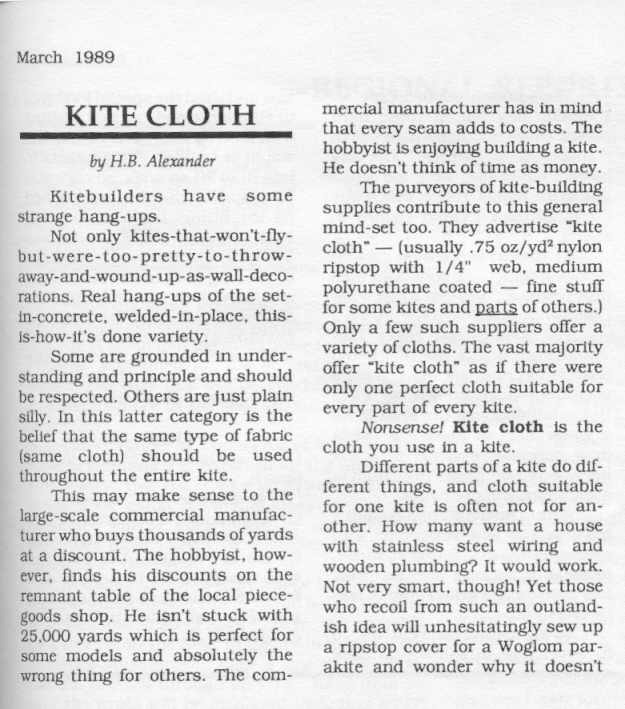 Alexander, discusses the merits of using other "non-ripstop" fabrics for kite construction. "It is not always the best idea to use the same type of fabric throughout the entire kite."